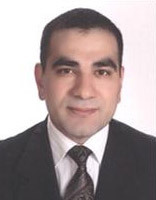 Ali Polat is a Assistant Vice President at Turkiye Finans. He has over 15 years of experience of which 9 years is in trade finance operations. He has worked for Faisal Finance (Istanbul), Family Finance (Istanbul) and now is working for Turkiye Finance (Istanbul), an interest free bank operating in Turkey. While working in the trade finance department of the bank Mr. Polat has also completed his Phd on “Risk Management in International Trade” in Istanbul, Marmara University. He is married with 2 children.